When you accept and take full responsibility for everything in your life you are powerful beyond measure. But in order to do this, you need to realise whatever you are seeing and experiencing right now, like it or not, it’s all you. Some people are addicted to being right and they’re usually the people who find it hard to admit when they’re… wrong. And they never take responsibility. If you want to achieve the highest level of performance, you’ve got to realise everything is your fault. The thing is you are a projector. Anything you see, feel or experience – you’re part of it. Anything you see, you co-created it. Your life isn’t happening to you, it’s happening from you. And right now your entire experience is nothing more than a projection. Your eyes are the lens and your brain is running the film. What you’re seeing right now, it’s all you. It’s all you. You can’t blame anyone else if you’re experiencing stress. You can’t blame anyone else if you’re sad or unhappy with any area of your life. It is all your fault. The question is how much responsibility are you taking in that. Responsibility makes you powerful beyond measure. If you blame someone for a situation that you’re involved in, they get the power because you’re saying, “Well, it was out of my control”, and this disempowers you. As you say that, you give the power to the other person. I don’t know about you but I hate feeling like other people are directing my movie. If you relate to this on some level the way that you take the directorship back is, you own everything. 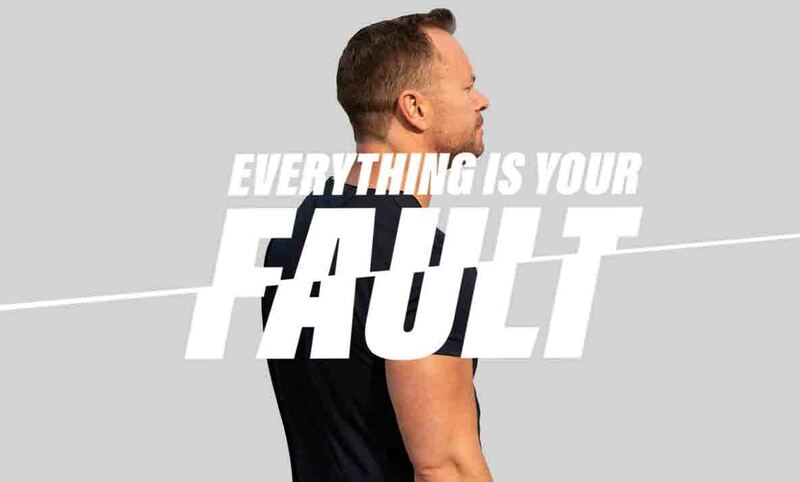 Everything is your fault. Everything is your fault in your role. Okay. In your life, your personal life, your health, everything. But here’s the thing. It doesn’t mean it’s a bad thing. It just means if it didn’t go the way we needed it to, then we’ve got some work to do on it – that’s all. No biggy, just put your attention to it, do a re-write and replay. You inspire me more than I can express in words. I WILL meet you in person one day.